Compared with modern European style range hood, Chinese style range hood is with compact design, light weight and affordable price. For families with small size kitchens, it is a better choice. It only costs 1/3 of the price of European style range hoods on the market. Besides, Chinese technology of producing exhaust hoods has matured after long years of development. The size of the smoke collecting chamber is 2.5 times bigger than European style range hood, and it has better smoke exhaustion ability. 1. 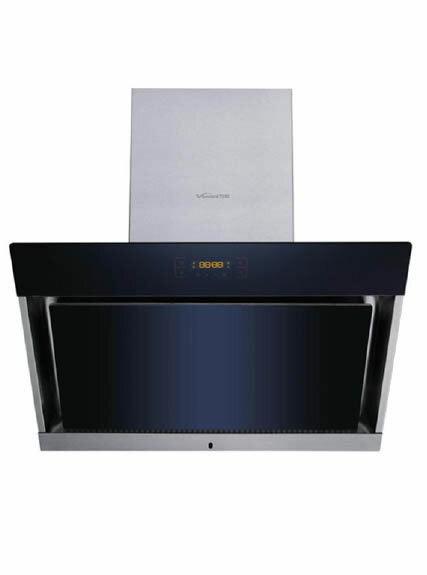 Designed with big wind wheel with strong suction force: Vanward Chinese style range hoods are equipped with high efficient and high speed motor, which work together with large diameter impeller, making a negative air pressure in a certain space above the cooking range. Our China exhaust hoods are excellent in creating fast extraction rate and preventing the spreading of lampblack as soon as it is produced. 2. Super large smoke collecting chamber and effective in purifying kitchen environment. 3. Air flue designed with vortex lines, low noise and vibrations, as well as stable operation. 1. The installing height of the Chinese style range hood should be appropriate, for the ease of cooking and ensuring effective suction radius can cover the whole cooking range. 3. When using the China exhaust hood, please keep good ventilation in kitchen. This can avoid making a negative air pressure in a certain space above the cooking range, which ensures the good extraction ability. 4. Please do not dismantle it for cleaning without any professional guidance. 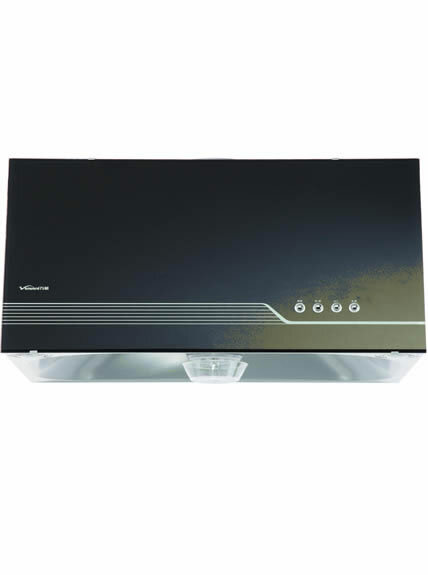 Cleaning and Maintenance: The follow methods suggested only apply to cleaning the exterior of the Chinese style range hood (impeller included). As for interior parts, please resort to professionals. 2. Dishwashing detergent and vinegar: immerse the fan in the warm water mixed with detergent (3-5 drops) and vinegar (50ml) for 10-20 minutes. Wash it with a clean cloth. 3. Use a soap to produce paste. Smear it to the components that need to be cleaned. After the China exhaust hood has been used for a period of time, take off the impeller. Grease can be removed simply by wiping with a cloth. 6. Do not directly wash it with water, incase of water damage to electrical components.